During the first two decades after the Second World War, a time when good singing was popular and popular singing was good, Frankie Lane was one of the most beloved vocal stars of them all. Starting in 1947 with his first big record for the Mercury label, THAT'S MY DESIRE, Laine maintained a nearly continuous twenty-plus-year residence on the pop charts, amassing soe two dozen Gold Records with three Number 1 hits in the US, and four more in the UK. Still, even to his most ardent enthusiasts, a jazz tribute to this pop icon might seem a bit of a stretch. 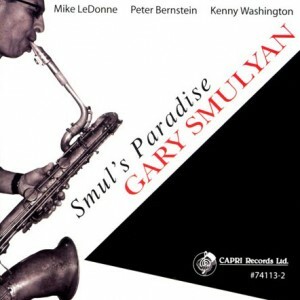 But not to baritone saxophonist Gary Smulyan. "I've always thought he was really soulful. A lot of people kind of pigeon-hole him. They say he sang all those country and western tunes and made pop records. But he did a great jazz record in the 1950s. And then I found out that he wrote tunes, as well. As a lyricist, he worked with some great people like Hoagy Carmichael and Matt Dennis - and sometimes he wrote the music himself." At this point, arranger Mark Masters, another Frankie Laine partisan, entered the picture. "Gary called me about four years ago," Mark recalls, "and he said 'How about "The Jazz Soul of Frankie Laine?"' And I said, "Why Not?" Frankie Laine was still living at the time, so I talked to a lady who managed the office for him and asked her if she could look in their files for whatever lead sheets they had of tunes he had either authored or co-authored. And she said they didn't have anything. Then I talked to his manager. He didn't have anything. But I have a friend, Bertrand Uberall, who does a lot of research at the Library of Congress, so I asked Bertrand to look into what they might have. And he found between 80 and 100 lead sheets with Frankie Laine's name on them - a lot of good songs." 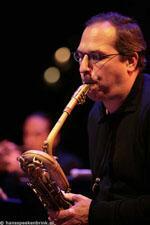 Baritone saxophonist Gary Smulyan is critically acclaimed as one of the major voices on the baritone saxophone today. As a teenager growing up on Long Island, Gary had the opportunity to perform with Lee Konitz, Chet Baker, and Jimmy Knepper. In 1978 he was asked to join Woody Herman's Young Thundering Herd, which at that time included Joe Lovano, Marc Johnson and John Riley. He left Herman in 1980 and moved back to New York to join the Mel Lewis Jazz Orchestra led by Bob Brookmeyer. Mr. Smulyan has recorded and performed worldwide with Freddie Hubbard, Dizzy Gillespie, Stan Getz, Ray Charles, B.B. King, Tom Harrell. Cedar Walton, George Coleman, Joe Henderson, Joe Lovano, Tommy Flanagan, Chick Corea, Diana Ross, Clark Terry, Kenny Wheeler, Charles McPherson, James Moody and Slide Hampton, among others. He has recorded 5 CDs for the CrissCross label. THE LURE OF BEAUTY, SAXOPHONE MOSAIC (voted one of the best 25 CDs of 1995 by WBGO, New York's leading FM jazz station), HOMAGE (featuring Tommy Flanagan), GARY SMULYAN WITH STRINGS (selected as one of the 10 best jazz CDs of 1997 by the Boston Globe) and most recently BLUE SUITE WITH BRASS. Gary's new release, The Real Deal, on Reservoir Records is currently available. Mr. Smulyan currently performs with the VANGUARD JAZZ ORCHESTRA, the JOE LOVANO NONET, the DAVE HOLLAND OCTET and BIG BAND, THE THREE BARITONE SAXOPHONE BAND, the GEORGE COLEMAN OCTET, the DIZZY GILLESPIE ALL STAR BIG BAND and the TOM HARRELL OCTET, as well as his own projects. 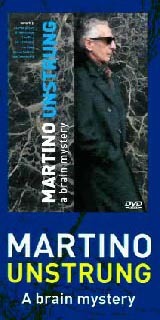 He is the winner of of the 1990 JAZZ TIMES CRITICS POLL, the 1994 DOWN BEAT READERS POLL, the 1998 DOWN BEAT CRITICS POLL (TDWR), and is the winner of the 2001 DOWN BEAT CRITICS POLL (TDWR). He also listed in the 1998 DOWN BEAT and JAZZ TIMES READERS POLLS. Gary was recently announced the winner of the 2004 Jazz Journalists' Award for Baritone Saxophonist of the Year and winner of the 2007 Down Beat Critics Poll. Mr. Smulyan is currently on faculty at William Paterson University and is a clinician and endorser for Vandoren Woodwind Products and Keilworth Saxophones.